It’s the latest buzz in business: to be a successful company these days, you need to attract and retain so-called “rock star” employees : highly talented, high performing, ambitious young professionals. There’s only one problem with that hype, authors Charles Duhigg and Adam Grant remind us in their latest books: it doesn’t work. The real rock star companies aren’t those with rock star employees. It’s those with highly committed, one-company men and women. 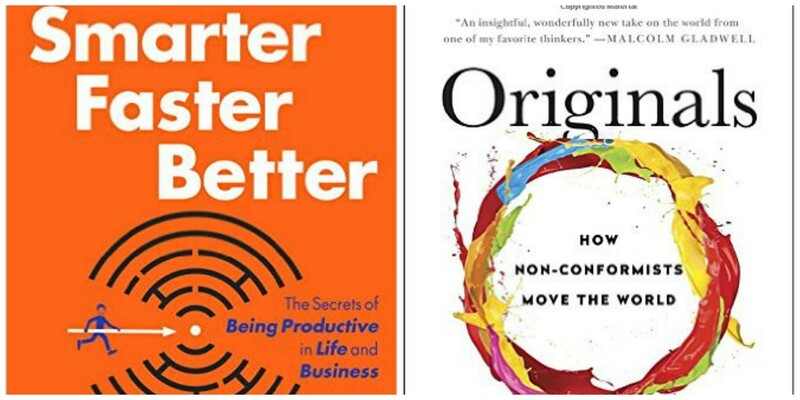 It seems a bit counter-intuitive at first, both Duhigg and Grant admit in their respective books, Smarter, Faster, Better and Originals . Research from the first dotcom era indicated there are broadly five types of companies: those with a “star culture” with rock star employees, those with an engineering culture, those with a bureaucratic or authoritarian culture, and finally those with a so-called commitment culture. The latter, Duhigg clarifies, are like a throwback to a corporate culture from times past, where men and women remain at the same company for their entire careers. When sociologists James Barron and Michael Hannan, who led the study, looked at the success rate over time, they found an odd result. While rock star employees often helped their companies reach success in terms of an initial public offering, as often they led a company to its demise. But there was one blueprint far superior to the others, Grant says: commitment. “When founders had a commitment blueprint, the failure rate was zero,” he wrote. The reason for that remarkable result was that the founders of such companies focused on finding people with a cultural fit over skills and potential. They also worked to build strong emotional bonds, rather than giving autonomy and challenging tasks, which was the case for star blueprint companies. It was a recipe for long-term success. Or as Grant summarized it: skills and stars are fleeting, commitment lasts. If companies want be successful today, they might thus do well to foster an age-old corporate culture: that of the one-company men and women. To obtain such a culture among employees anno 2016, Duhigg advises, companies should invest heavily in training, avoid layoffs whenever possible, and offer generous maternity and paternity leave, daycare programmes and home office. Those strategies won’t pay off in the short run, as they can be hard to implement and costly, but they work over the long term. The benefits are legion, Duhigg says. In commitment cultures, a sense of trust emerges among workers, managers and customers. Employees are motivated to work harder and to stick together through the inevitable setback a company faces. And ultimately, a commitment culture also results in higher levels of teamwork and a higher psychological safety, increasing productivity and limiting absenteeism and people leaving the firm. But for all the benefits of a commitment blueprint, the model also carries one potentially lethal shortcoming, Grant warns: a mono-culture. As an example, he points to Polaroid, a company that carefully and successfully fostered a commitment culture among its employees, but almost went bankrupt when the digital revolution took place. Even though digitization was known to Polaroid as early as 1980, the company and its employees dismissed it could ever replace printed photos. The company’s founder had built a well-oiled, well-run company of committed employees, but they had also become a mono-culture blind to outside forces disrupting their industry. To overcome that possibly lethal hurdle, Grant proposes companies find ways to keep in dissenting opinions, even if that feels awkward. “Dissenting opinions are useful even if they’re wrong,” he says, because disrupting consensus encourages group members to engage in divergent thinking. Combining a highly committed culture with one with dissenting employees is possible, he says, because group bonding is not affected by dissenting opinions. People can respectfully disagree, and still be highly loyal to each other and their company. In all, it remains an intriguing thought: if you want to build a successful company, you should not attract the biggest rock stars. A loyal orchestra of employees will perform better – provided there is a dissenting tone every once in a while, to keep everyone focused. Adam Grant is a World Economic Forum Young Global Leader and a professor in the Global Leadership Fellows Programme. His book Originals is on sale now. Charles Duhigg is a New York Times columnist and author of Smarter, Faster, Better , on sale now. This post is part of a leadership series from the World Economic Forum's Global Leadership Fellows programme .